He Holds My Right Hand: My Cancer Journey - Part 9: Why Me?? Humanly speaking, I want to ask why this has happened to me. I've been a mostly "healthy" person for most of my life. I try to eat well, take my vitamins, maintain a healthy weight, and exercise (even if that exercise only consists of walking around the block or doing housework). I also try to live my life in a way that is pleasing to God. So, from a human standpoint, it doesn’t make much sense. I have two children and a husband to take care of. One of our children has autism, and the other has had some "special needs" of his own to contend with. My husband has a heart condition and is already under enough stress without him needing to take care of me and the rest of the family. 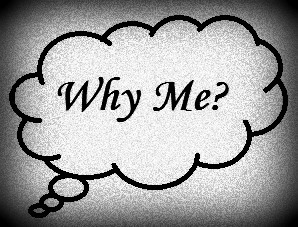 So, why? Why would God allow this to happen to ME? Quite honestly, it has been hard to come to grips with that at times. After my mastectomy surgery, I received several cards in the mail. I have kept the cards to look at every once in awhile because of the encouragement they bring. It is nice to be reminded that people care; and many of the messages in them have spoken to me, at various times, as messages coming directly from the Lord. Right there was the answer to my "Why?" Question. It is simple, really: In the world you will have tribulation. Its not a MAYBE you will have trials; its not a MAYBE you will experience difficulties; it’s a DEFINITE statement: In the world you WILL have tribulation! It doesn’t matter who you are, where you live, or what you do. NONE of us are exempt from hardship. One person’s hardship may be work related, another has lost a family member or close friend, others are dealing with financial difficulties, others are having marriage problems, some are caretakers of those with disabilities, and many more are in pain and/or are dealing with chronic illness. The list goes on. The fact of the matter is that hardship is IN THIS WORLD, and we are living IN THIS WORLD. The verse doesn’t stop there. It says, to BE OF GOOD CHEER (or in the New American Standard version, it says TAKE COURAGE). Why? Because our Savior, Jesus Christ, has OVERCOME THE WORLD! What exactly does that mean for us? 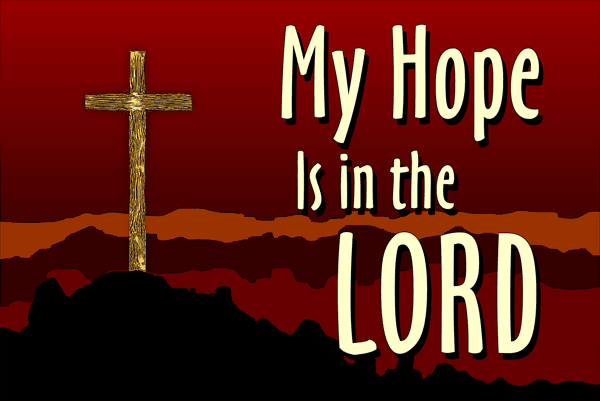 It means the death, burial and resurrection of Jesus Christ gives us hope in this world of trouble. It means we may have struggles for awhile, but they won’t last forever. It means, those who believe in and trust in Him for their salvation will one day live eternally with our heavenly Father and will no longer be experiencing any sickness, pain, or death. It means the Lord LOVES us with unfailing love, and HE HAS NOT FORSAKEN US. He never forsakes those who love Him. Deuteronomy 31:8 - The Lord Himself goes before you and will be with you; he will never leave you nor forsake you. Do not be afraid; do not be discouraged. Am I still scared at times? Yes. Do I still get discouraged? Yes. But, I know, without a doubt, the Lord is there for me and my family as we go through this. And, with the continued support of family and friends, I believe we can make it through this. It won’t be easy, but we will make it. Very encouraging. I appreciate your human honesty and love John 16:33! Praying for continued good health! Thankyou, Sylvia. Prayers are greatly appreciated. God has not lost Hope...He knows - so wow; kinda turns our perspectives in order. A lot we sure don't understand. But, we know God uses all things for His good that will in turn instill so much for the hurting in life.